When it comes to a simple summer beauty routine, lashes, lips, groomed brows, and healthy skin go a long way. I've talked extensively about lipstick on this blog before, and the SPF products I reviewed last year are still great options for protecting your complexion. Today, then, will be all about lashes. 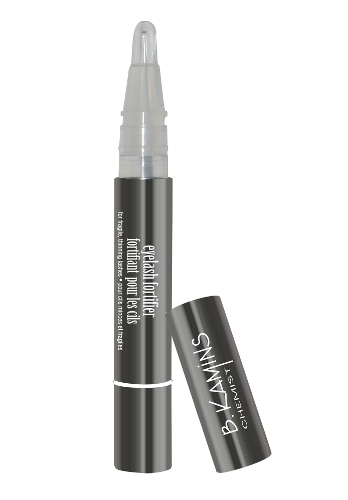 Give your lashes (and brows) a boost by throwing an eyelash fortifying treatment into the mix. The B. Kamins Eyelash Fortifier ($99 at Spa Boutique) uses a formula full of peptides, plant extracts, and multivitamins to nourish lashes and brows, boost micro-circulation at the hair follicle, and plump up each individual hair. Although $99 seems steep for only 4ml, the unique rubber applicator dispenses only a pinhead's worth of product at a time and applies it precisely where needed, so the pen will last a long time. I've been using it for the past couple of weeks and am pretty pleased with the results. My brows seem fuller (fewer of the sparse spots that Asian brows are prone to) and my lashes look longer and thicker sans mascara. The product does tingle a little when applied, so try not to get any in your eye. 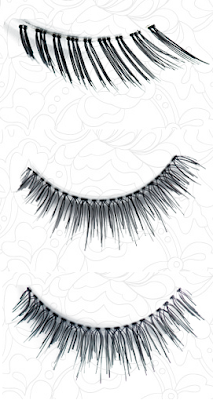 If you have a special occasion and can't wait 4-8 weeks for a fortifying treatment to take effect, Noir Lash Lounge's new line of faux lashes ($11.99 per set) might be just the thing. Because I favour a more natural look, I like the Hidden Lashettes (top), individual lashes that can be trimmed and applied to the outer corners of the eyes for a flirty look. The 'Lashionista' (centre) set would look pretty if one were attending a wedding, while the 'Flirty Little Secret' (bottom) would work well for a glamorous event. Unlike other lash brands I've tried, Noir's has a thinner-than-average rubber strip, which means they blend in more easily and look more natural. If you have shaky hands and can't trust yourself to apply your own faux lashes, stop by one of Noir's locations and let their pros do it for you: $20 includes application and a set of lashes to call your own. That fortifying treatment is a little too pricey for me but sounds like it's awesome! I love the B.Kamins Lash Fortifier. Featured it on Vitamin Daily last week. It works!